Get up-close-and-personal with one of the greatest and most influential stars of our current “peak TV” era. 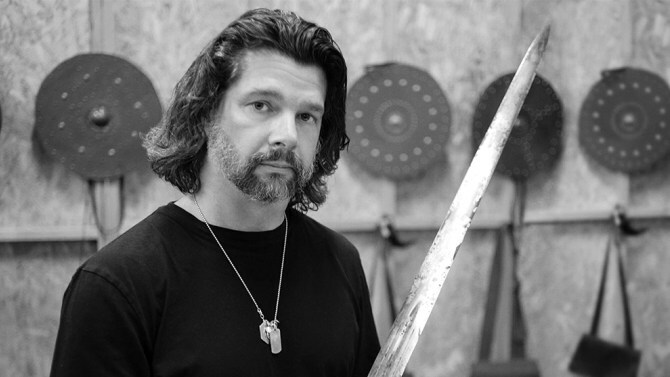 Join Ronald D. Moore, one of the most talented, passionate and fascinating figures working in television today, as he shares insights, secrets and advice you would never hear in an average convention setting. Moore, a legendary television writer/producer/creator/showrunner, will reveal details of his incredible career in film and television ranging from his early work on Star Trek: The Next Generation and Deep Space Nine, the creation and genius of the 2004 Battlestar Galactica re-imagining for Syfy, Starz’s groundbreaking adaptation of the beloved book series, Outlander, to his newest space series for Apple, shrouded in secrecy. This NYCC Master Class will be steered by Sony Picture Television Co-President Chris Parnell and Mark A. Altman, trekspert and author of So Say We All and The Fifty Year Mission.